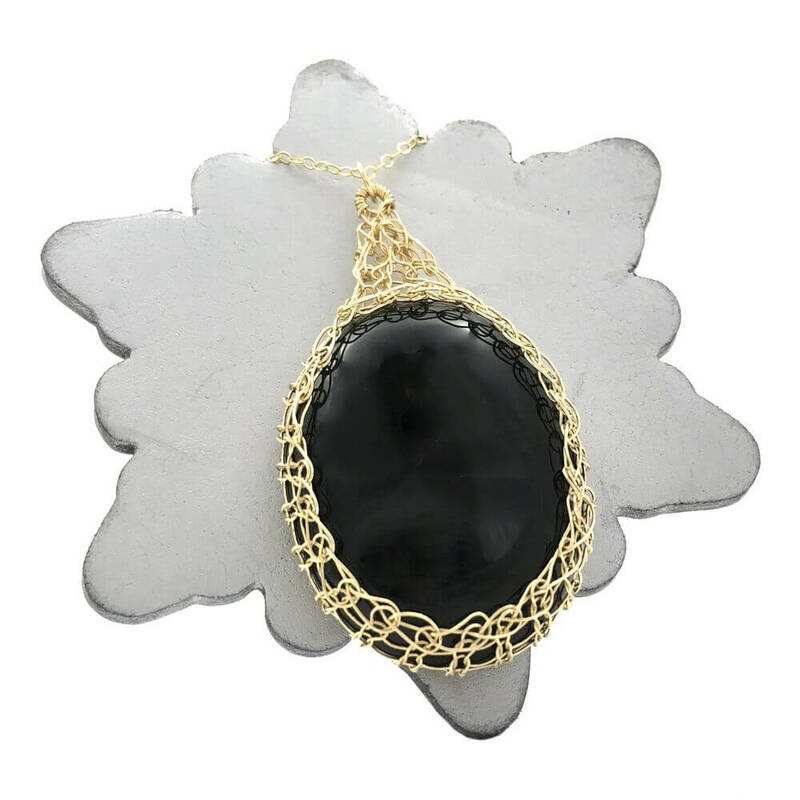 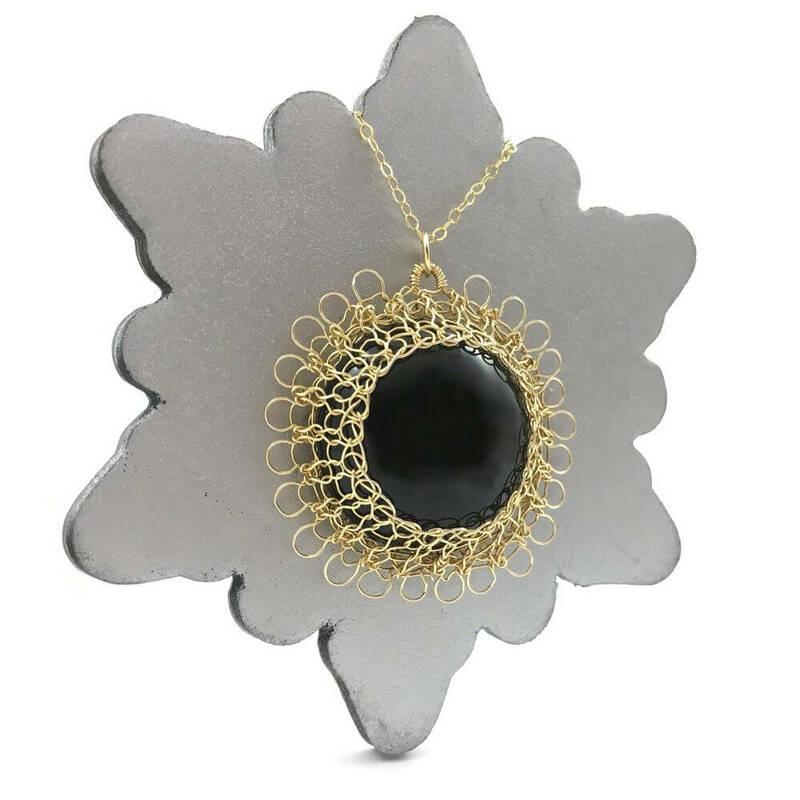 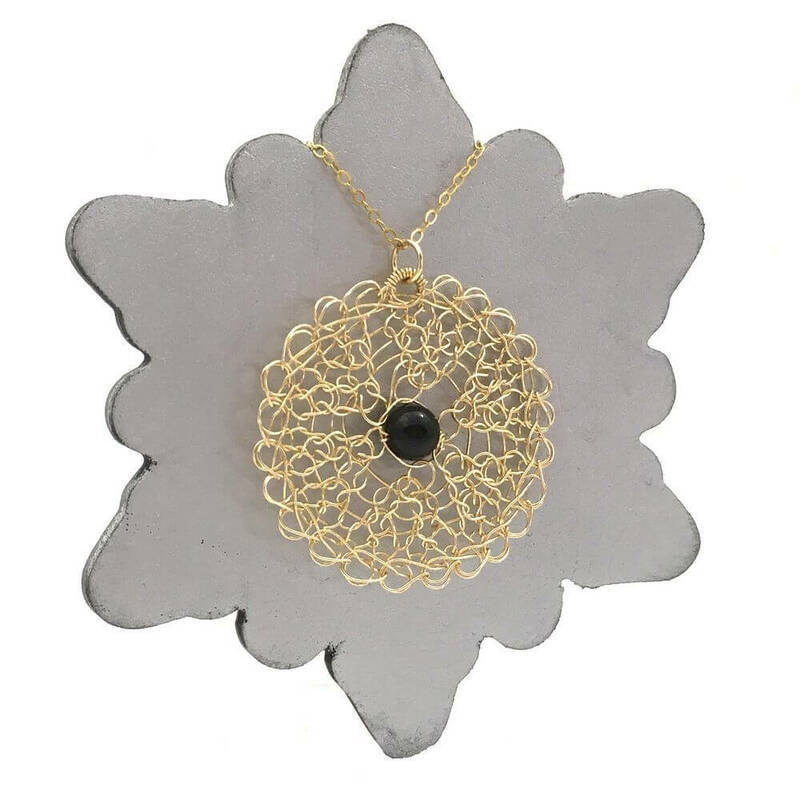 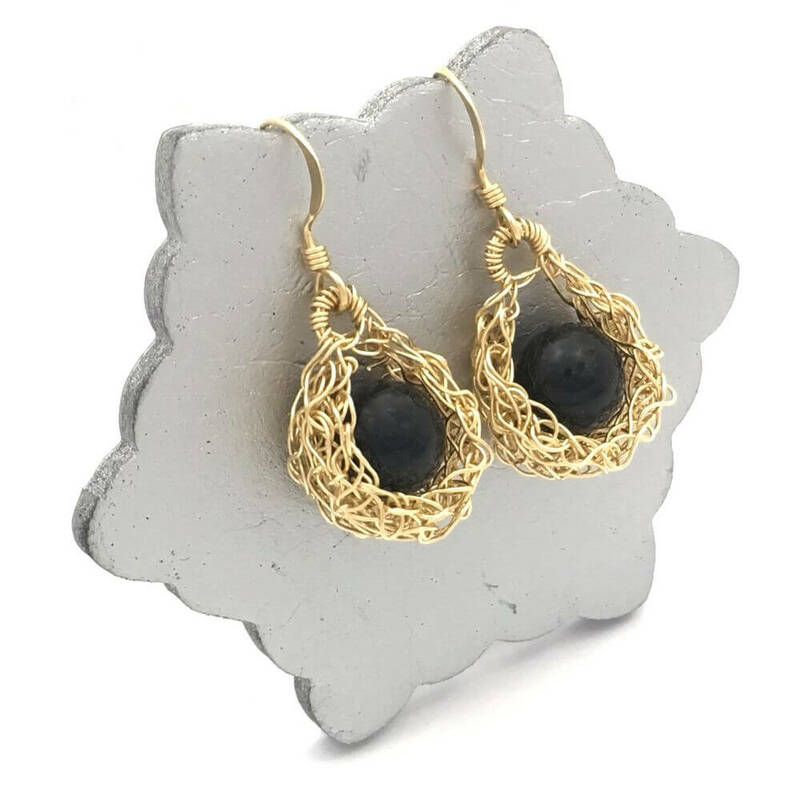 A deep mysterious black onyx stone is surrounded by finely crocheted 14 carat gold-filled wire and fixed on a band of 14 carat gold-filled wrapped wire. 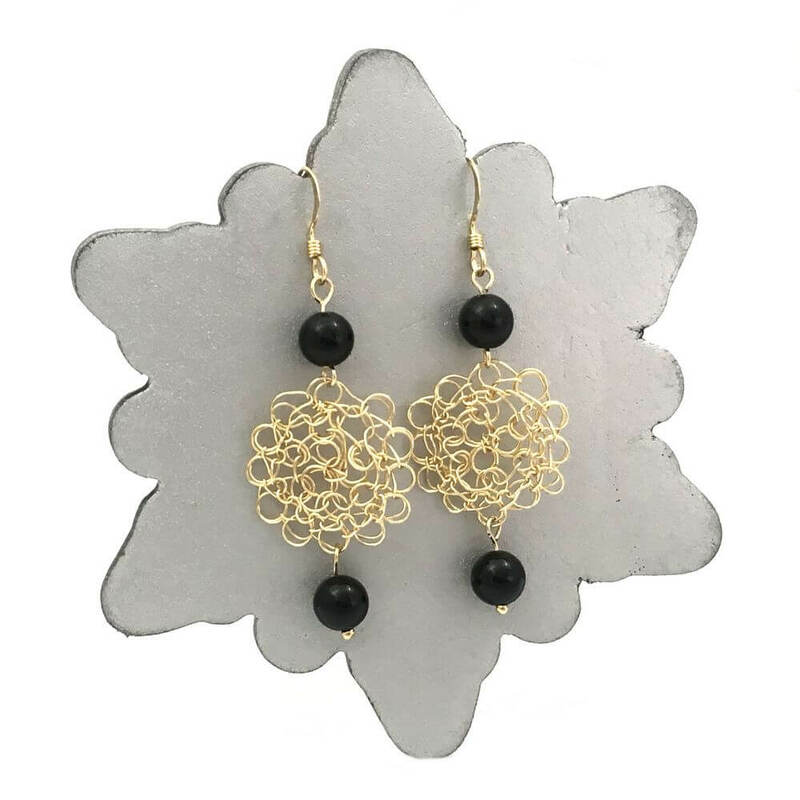 The striking combination of black and gold bring a touch of drama to a stone know for its stabilising properties. 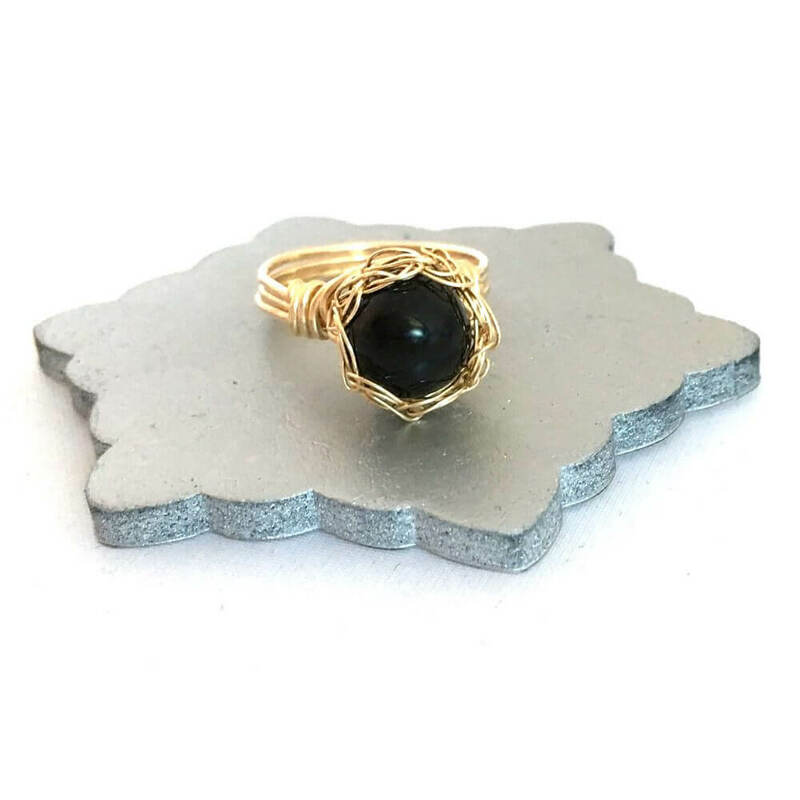 The Gold Black Onyx Case Ring is made to order in any size required, please indicate size in the comments box. 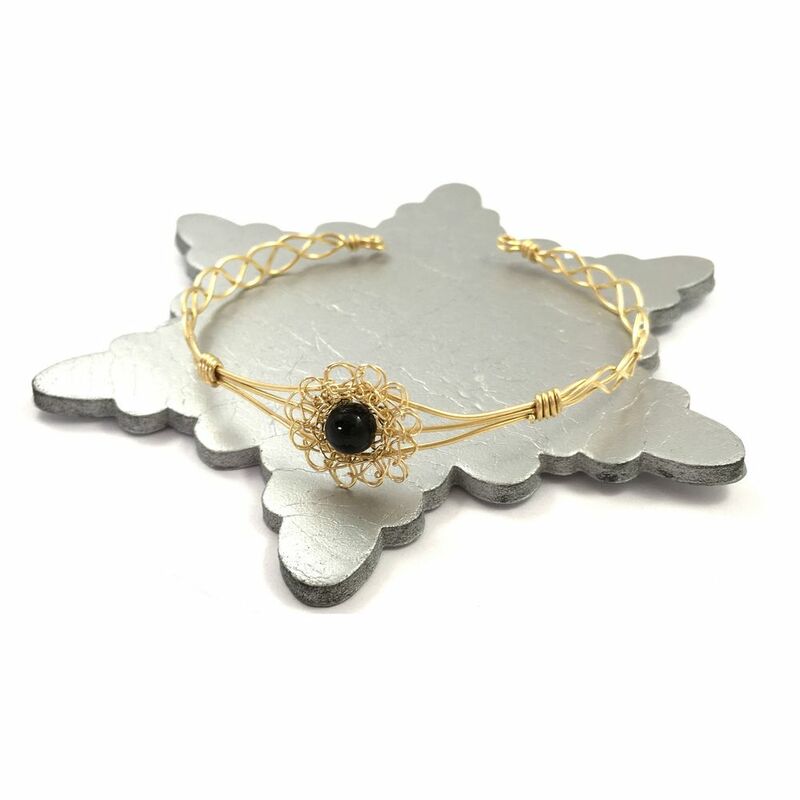 Your order will be shipped within 3 days and presented in a hand finished gift box. 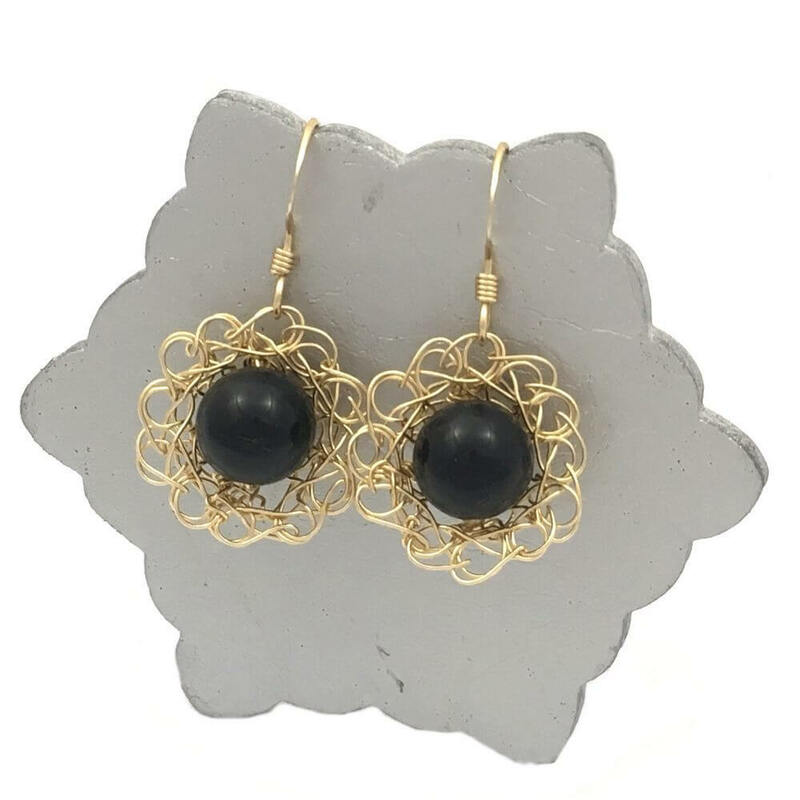 Sizes in mm from 41-76mm.